Leti’s CEO talks about a new Soitec deal and R&D trends. 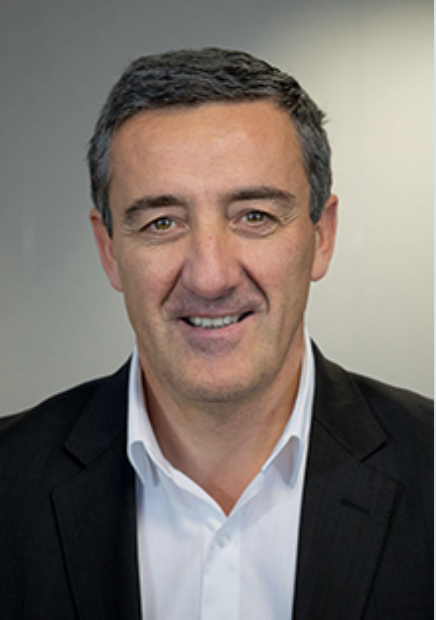 Emmanuel Sabonnadière, chief executive of Leti, sat down with Semiconductor Engineering to discuss R&D trends, a new deal with Soitec, and the latest developments at the France-based research organization. Leti is a research institute of CEA Tech. What follows are excerpts of that conversation. SE: Leti recently formed an alliance with Soitec. Under the terms, Leti and Soitec are forming an R&D partnership. Leti and Soitec will form the Substrate Innovation Center. The five-year partnership will drive the R&D of advanced substrates, including FD-SOI, RF SOI and other technologies. Can you elaborate? SE: What will Leti and Soitec work on? Sabonnadière: We have found the right balance to work together. And because of that, we will explore what’s going on in the substrate. This is the substrate for power, RF, 5G and many things. We also have CMOS. We are moving from 28nm down to 12nm in FD-SOI. SE: Last November, you were named the new chief executive of Leti. What are some of the new efforts going on at Leti? Sabonnadière: Quantum computing technology was launched before me. I am pushing quantum technology and I even increased what is being done there. The focus was not strong on the edge of artificial intelligence. Here, we’ve created dedicated labs and so on. For 3D stacking, we are really pushing hard. There are not enough design tools for 3D. So we also are pushing this part. SE: Moore’s Law is slowing down. Yet, R&D is not slowing down, right? Sabonnadière: That’s absolutely true, but the diversity of the problem is also increasing. So, we have to make it probably more clear about what is the mission or journey in our institute, because we cannot do everything. SE: There are many new challenges in computing and semiconductors. Yet, it’s hard to find and keep engineering talent. How do you keep people interested or motivated in terms of staying in the field? Sabonnadière: We have created a culture of startups here in Leti. So we have already generated 65 startups. Now, there is priority in investing in hi-tech. So for young people, who want to create their own company today, they can leverage the resources at Leti. Leti will give them a safety net. That means we give them 18 months to plan a startup. And we give them an additional 18 months to run the startup. If at the end they decide it doesn’t work, and it’s not really want they want, they can go back into Leti. SE: How do you decide what projects to fund? Sabonnadière: Each year, we have a process in place. We select 10 good ideas. Of these 10 good ideas, two of them might become a startup. We fund them from the beginning. Then, we let them fly on their own. SE: There are quite a few research organizations in Europe, such as Leti, Imec, Fraunhofer and others. How is Leti different? Sabonnadière: Now, with the diversity in the world of R&D, we see Imec go more and more towards CMOS processes and finFETs. We are much more focused on SOI. In memories, Imec is doing embedded and standalone. We are doing more embedded. And Fraunhofer is very strong in packaging. So, there is a focus for each of the three activities in Europe. SE: What are the big challenges in R&D. What keeps you up awake at night? Sabonnadière: The speed of development. In R&D, you need to leave researchers with enough space. They need resources to find new ideas, which is not easy. But at the same time, we can see the urgency of some developments, especially in the edge of artificial intelligence. We can see the companies from the automotive industries coming to us. They are pushing us, because they want to have edge computing for their artificial intelligence systems. SE: So things are moving fast, right? Sabonnadière: The development times are becoming shorter and shorter. SE: So, it’s a good time to be in R&D, right? Sabonnadière: Absolutely. The appetite for innovation is big today. SE: Where is AI going? Sabonnadière: AI was developed and captured by the guys in software. So there are a lot of software applications in the cloud. Now, it seems it’s coming more and more with local computing with machine learning. It’s distributed locally. So, I see it moving back more towards the hardware part and so on. We will probably see more demand for local or edge hardware.